The Pittsburg Police Department has received several reports from local businesses of fraudulent transactions involving fake currency used as payment. The police department is asking all local retailers and citizens to be vigilant in the detection of this fictitious currency. 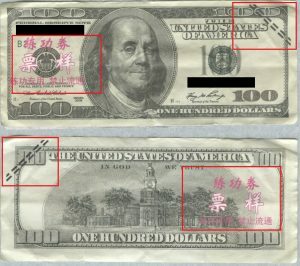 Instances of counterfeit currency include film prop money and bank notes with foreign text. These bills are designed to look similar to legitimate currency, but contain numerous differences indicating their fictitious nature to an observant handler. 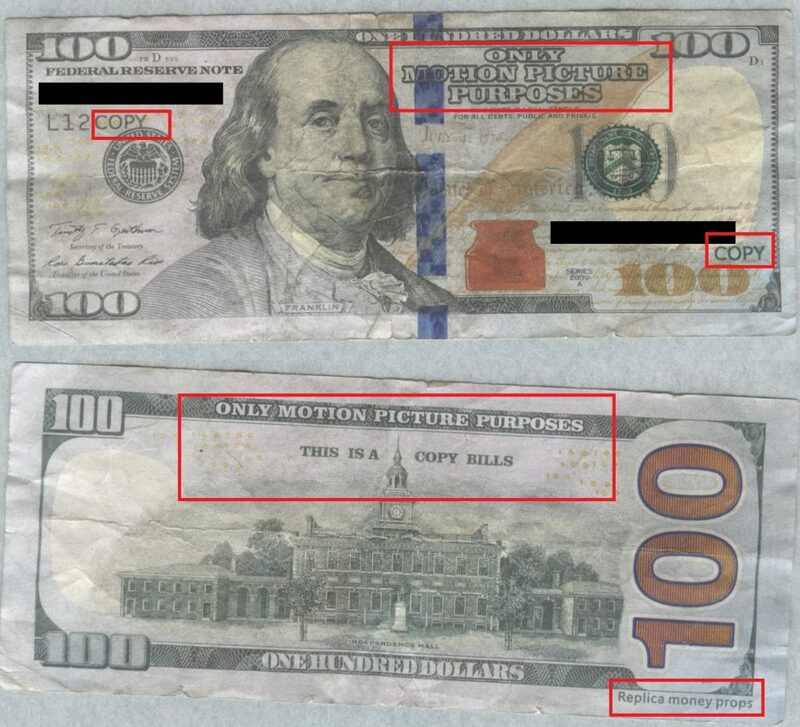 Film prop money contains different portraits, images; no security features (holograms), custom emblems and seals different than legitimate currency, and is marked “FOR MOTION PICTURE USE ONLY.” Counterfeit notes may also contain Chinese or Cyrillic writing printed on the note and have no watermark or security thread when held up to the light. These counterfeit bills have been found after completing online transactions. Victims of this scam accidentally accept this fake currency when selling items through online trade sites such as Facebook, craigslist, eBay and others. These instances often involve the selling of valuable items such as electronic devices. Online sellers are encouraged to use the department’s safe exchange spaces when meeting an internet contact to complete a transaction. Located on the north side of the Beard-Shanks Law Enforcement Center at 201 N. Pine St., these spaces provide a secure location for online trades and transactions. The parking spaces are monitored via video surveillance 24 hours per day. Fraudsters seeking to buy items of value using fake currency will be unlikely to meet near the police department, for fear of being caught. Online sellers are not the only people vulnerable to counterfeit frauds. 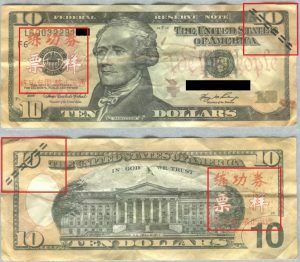 Retailers and point-of-sale employees should also watch for fake currencies and be prepared in the event that a counterfeit bill crosses the counter. 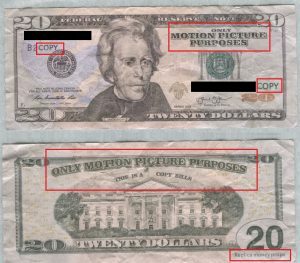 Employers should encourage their employees to take time and examine dollar bills for signs of this counterfeit currency. If you encounter this fictitious money, contact your local law enforcement agency. If you have information regarding these investigations, notify the Pittsburg Police Department at (620) 231-1700, or at our tip line, (620) 231-TIPS. For more information regarding the Pittsburg Police Department safe exchange space, visit the police department’s page at www.pittks.org/public-exchange-area.